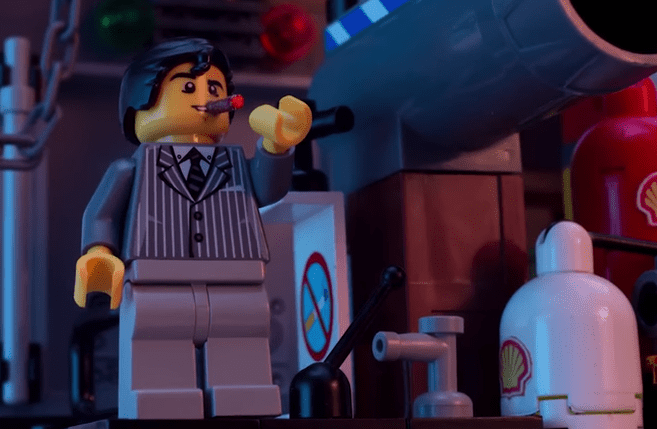 Greenpeace premiered a video yesterday that campaign’s against Shell’s plans of drilling in the Arctic, but primarily targets a proxy company, Lego. The ad wants to move the Danish toy company to cancel its deal with Shell that will put Lego toys in hundreds of gas stations. In the video, an oil-stricken Arctic depicted in a set comprised of 120kg of Lego is shown as it slowly becomes engulfed by a sea of black tar. The only concrete message comes at the very end when a text block warns: “Shell is polluting our kids’ imagination”, in response to Lego’s official company mission – serving creativity and inspiration to children. The ad went completely viral, hitting more than 1,3 m views already on YouTube, and garnering over 300,000 signatures for the Greenpeace petition to Lego. It’s only been a day, but if we’re to heed credence to Lego’s most recent statement at the matter, it seems like the ad didn’t quite struck a chord with them. “We are determined to leave a positive impact on society and the planet that children will inherit. Our unique contribution is through inspiring and developing children by delivering creative play experiences all over the world. A co-promotion contract like the one with Shell is one of many ways we are able to bring LEGO® bricks into the hands of more children. If anything, however, the video has made a lot of environmentalist Lego fans really mad, if we’re to judge from social media comments. Greenpeace’s reputation isn’t at its best either, to be fair. Only a week ago, the Guardian and Der Spiegel revealed that the world’s most famous environmental group squandered £3m on currency markets and that one of its top executives commuted to work by plane.